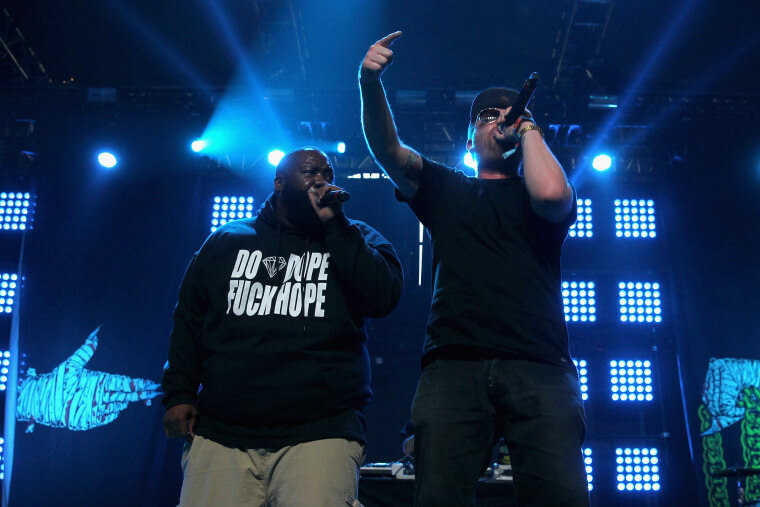 On September 4, Run The Jewels will play a show at Dismaland, the new theme park installation curated by Banksy. Before that, El-P and Killer Mike were interviewed by the artist (or someone pretending to be him. You never know with this guy!) for The Guardian. We learn the last YouTube videos that made them cry (here's Killer Mike's, and here's El-P's) and whether it's more important to be great or nice. Read it here.